I’ve been pushing really hard at school lately. I want to get everything all squared away in case later on I start having a hard time. That being said, it’s time to fess up. I’m 12 weeks pregnant!!!! We are so excited for another little one. 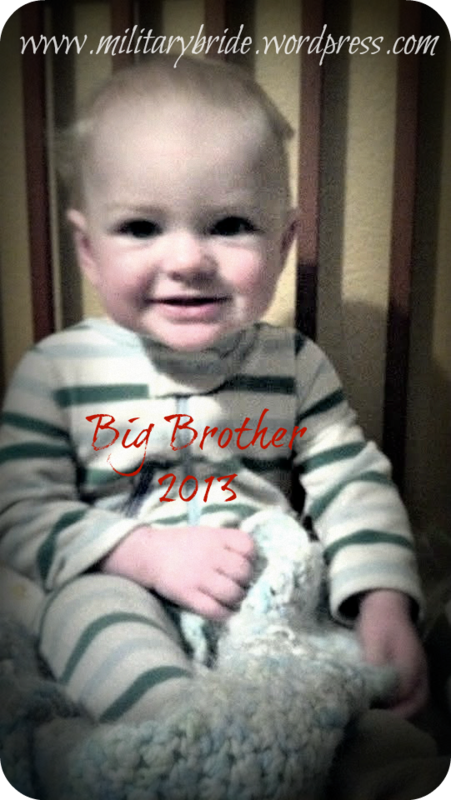 Mr. Blue Eyes is going to be a big brother!